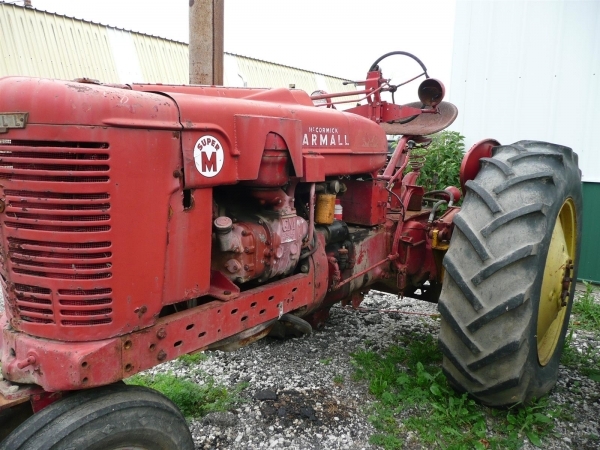 In August 2004 my father, uncle and I attended a local auction where there was a Farmall M with a 2-71 Detroit Diesel conversion. 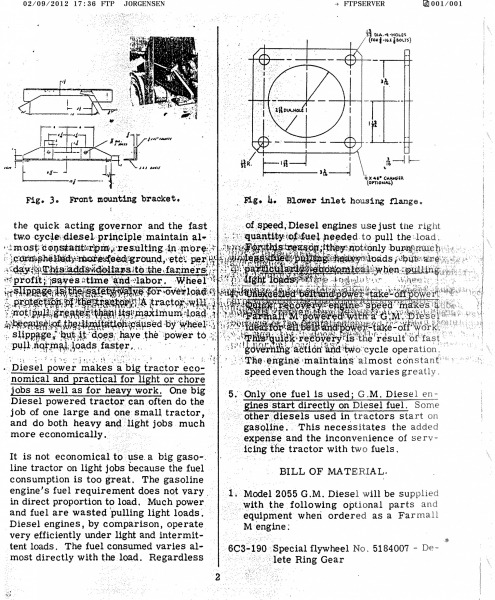 My father was a Detroit Diesel “junky” and loved all things Detroit powered. Add a Detroit to an old tractor and he was in lust. The bidding that day ended at $4500 and he was on the losing end. But the story doesn’t end there. 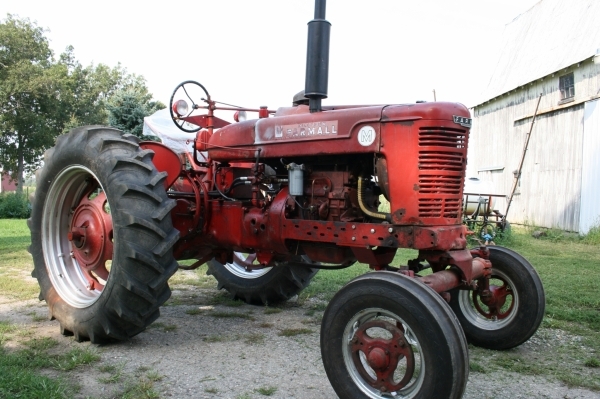 In 2007 my father received a phone call to tell him that the tractor he had bid on years before was for sale if he wanted to buy it. The winner of that auction had taken it home, gotten it running and parked it by the barn, moving on to different interests. Of course my father jumped at the opportunity. 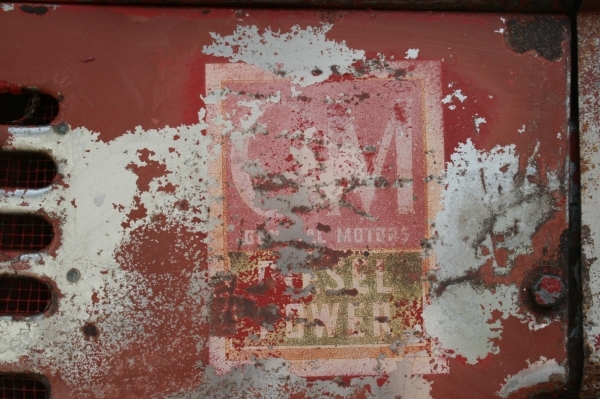 In July 2007 that M came home to J.C. Root & Sons. 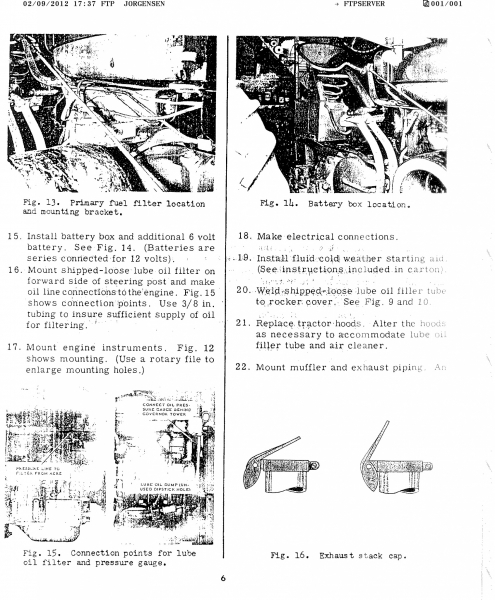 For those not familiar with Detroit Diesel and the 2-71 retrofit kit of the 50’s here is some background. 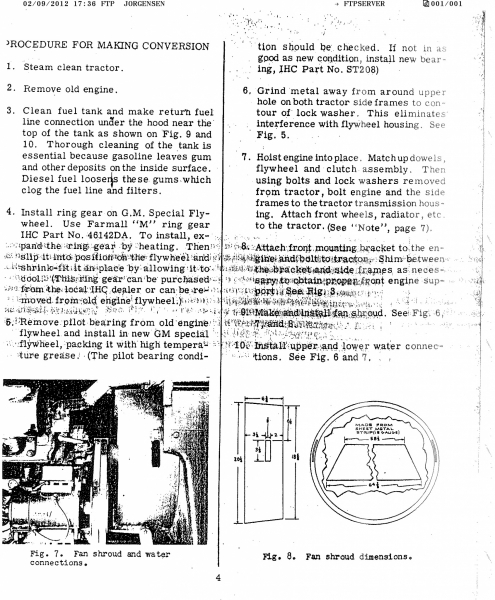 Detroit Diesel offered kits of various engines for various tractors. 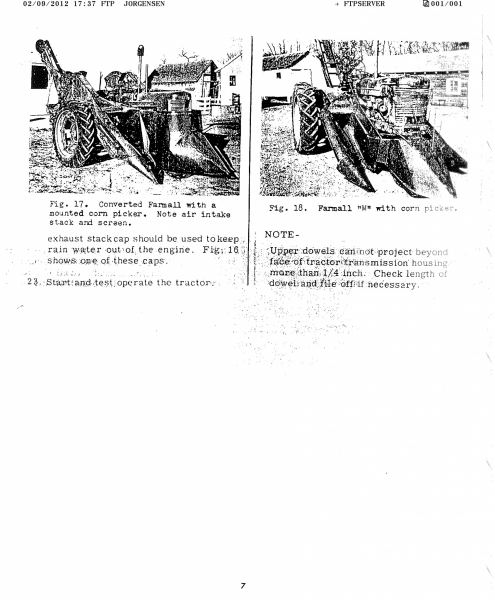 One of these kits was to retrofit a 2-71 into a Farmall M. When you purchased the kit you received the engine with appropriate bell housing and governor and other odds and ends. 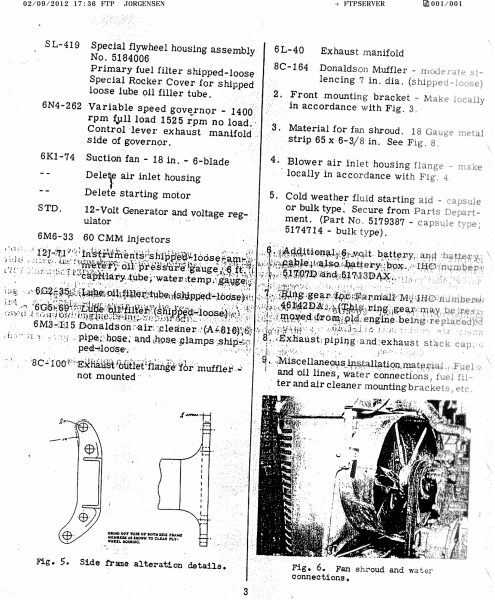 You re-used quite a few components and the instruction manual provided blue prints for certain brackets and a parts list for items you needed to secure to finish the job. In the last decade there have been a few ingenious individuals that have made their own adapter to put these little engines into an M. The difference here is that my M is an original kit installation and they are as rare as hen’s teeth. 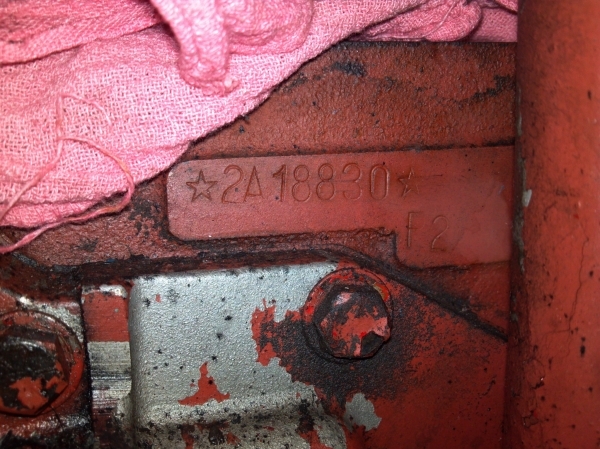 The glaring proof of this is that the bell housing has no separate adapter plate welded to it. The bell housing in this M is a one piece cast & machined item. 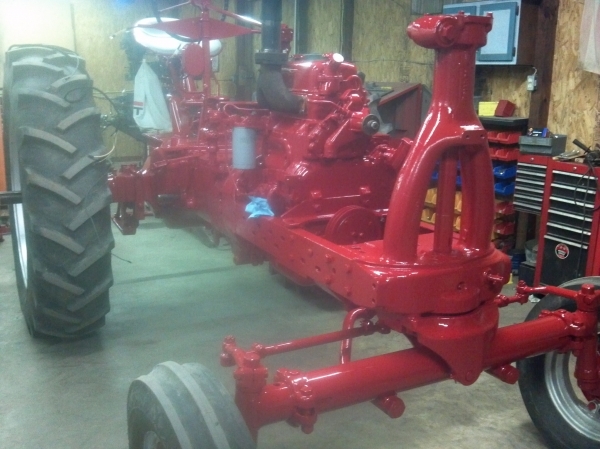 At this point in time (late 2007) my father was more or less semi-retired so he and my uncle set out to get her running and everything cleaned up and redone on the tractor over the course of the next couple of years. 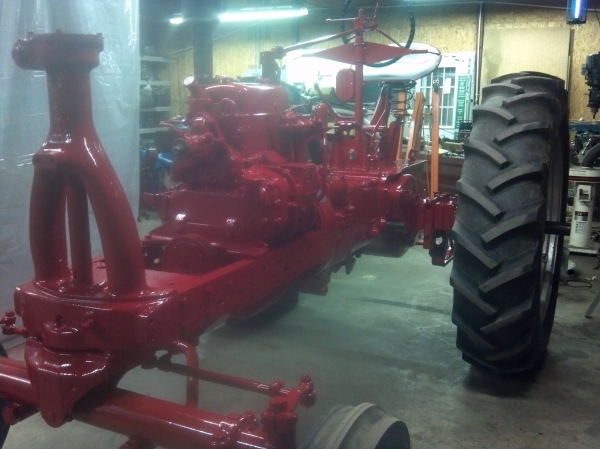 My father added a factory IH wide front end and “borrowed” a pair of like new 14.9-38 Armstrong tires that I had taken off my M and put them on 560 rims and centers. 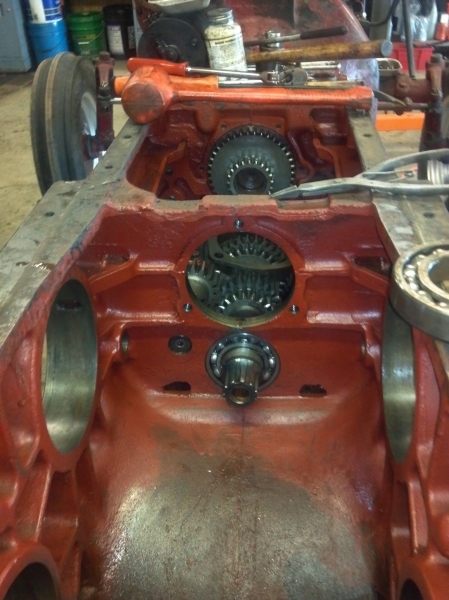 The tractor received new gauges, steering wheel, seat and a reworking of the air, fuel and water plumbing on the engine. 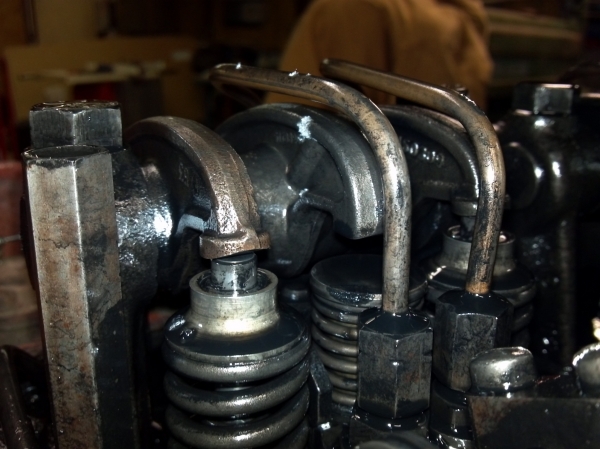 Bob Colbert Diesel in Detroit put new N70 injectors in her and gave the little 2 cylinder a tune up. They completed all of this in time for the 2009 Mackinac Bridge tractor ride. This was to by my father’s “last hay ride” more or less. By May 2010 cancer had claimed his life and my uncle the same not a year later in April 2011. 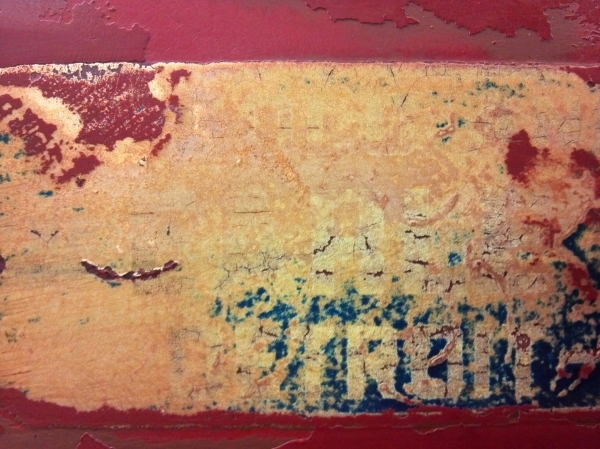 Fast forward to January 2012. The family has decided to sell the Root family farm and to hold an auction to dispose of 50 years worth of work and collecting by my father, uncle and grandfather. 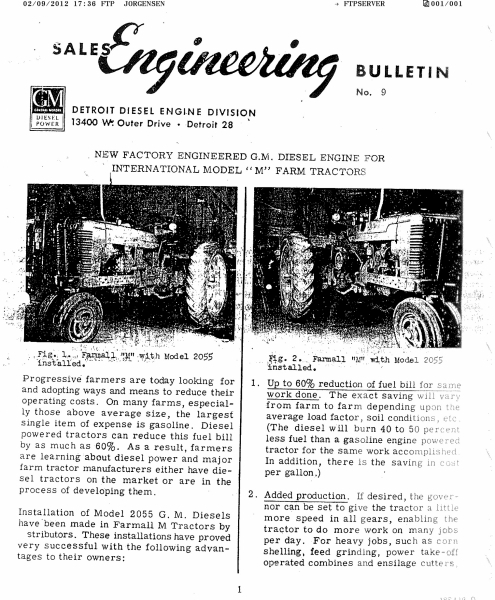 Of everything there this is the only thing I’ve decided to keep as it was my father’s “holy grail” and encompasses everything he was passionate about, Detroit Diesel engines and Farmall tractors. So in January 2012 I loaded her up and brought her home to J.A.Root Farms. Thank God for the Ramsey on the front of the trailer. Backing up to November, I had started the little Detroit to take my nephew for a ride. When she lit off (she never has started well, requiring a good dose of either) she instantly went WOT and I had to shut the fuel off to her to shut her down. 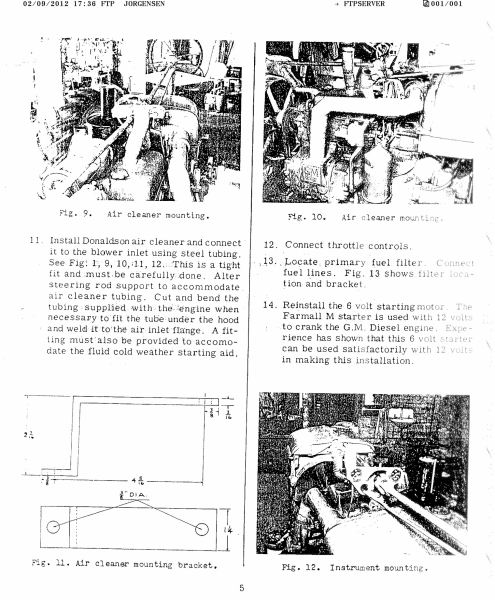 There is no emergency air shut-off at the blower and from sitting an injector had stuck WOT and in turn held the rack and 2nd injector in the same position. A rather terrifying few moments for someone who hasn’t experienced such a situation before. 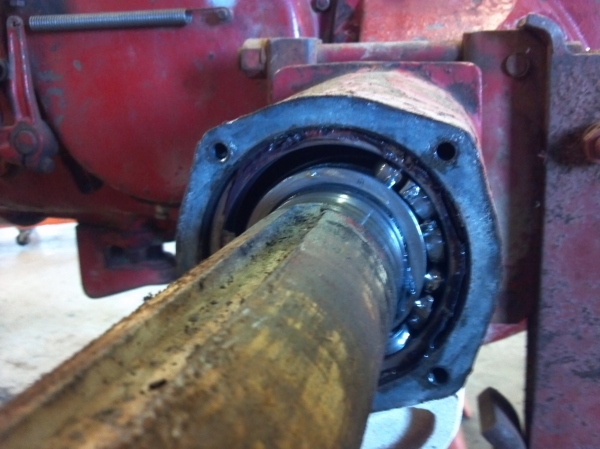 Once I got her home and into the shop I quickly discovered what I was sure to be true, a stuck injector. It doesn’t take much, just a bit of moisture. Easy enough to replace. 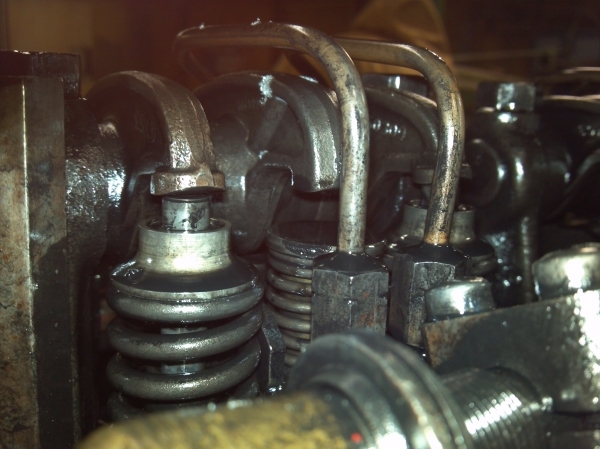 But furthermore this engine has never started well so I figured I might as well rebuild it while I am at it and there is nothing else to do in the Winter. These little Detroits aren’t very complicated and I literally had her apart, on the bench in an hour and a half. 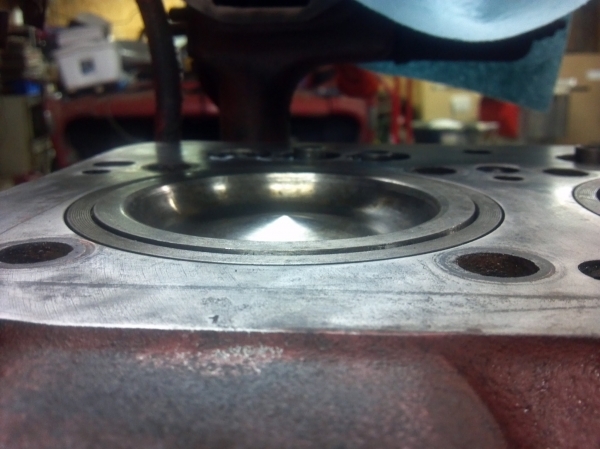 What I discovered, upon cylinder head removal, was 2 different pistons and 2 different liners. 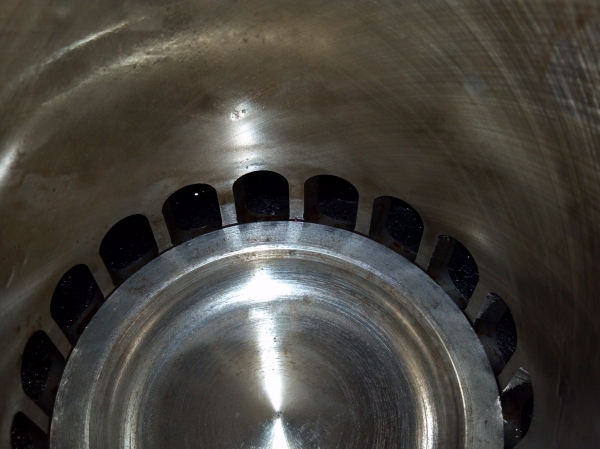 Both N series but one old and one newer small port liner. 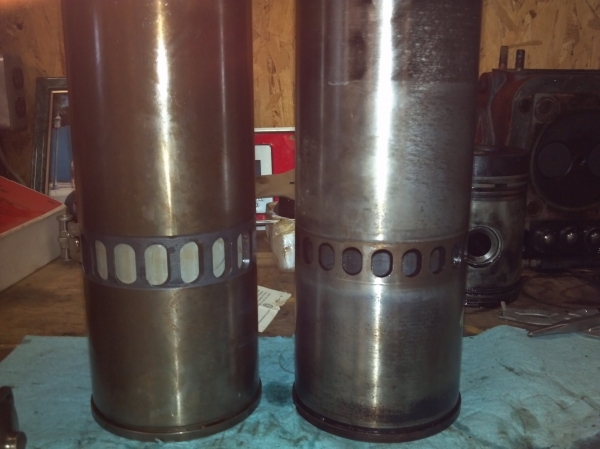 Both will be replaced with new large port N series liners and pistons with a fire ring. 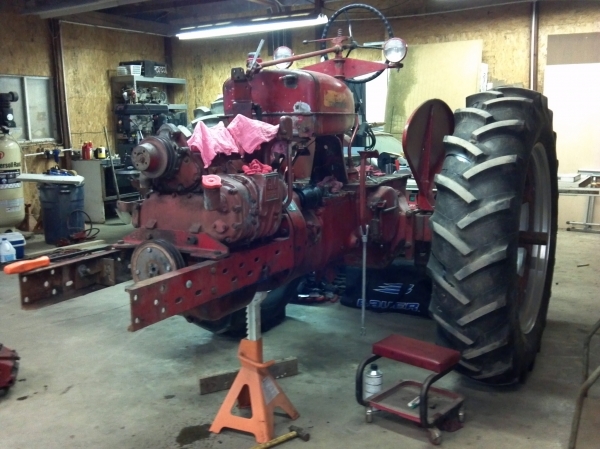 My goal for this tractor is to have it back together and running in the next week so that I can use it a bit this spring to make bad gaskets and seals leak. This way we an replace them and seal everything up prior to moving onto refinishing. I also have quite a bit of fabrication work to clean up and re-engineer. So stay tuned to the ongoing progress. 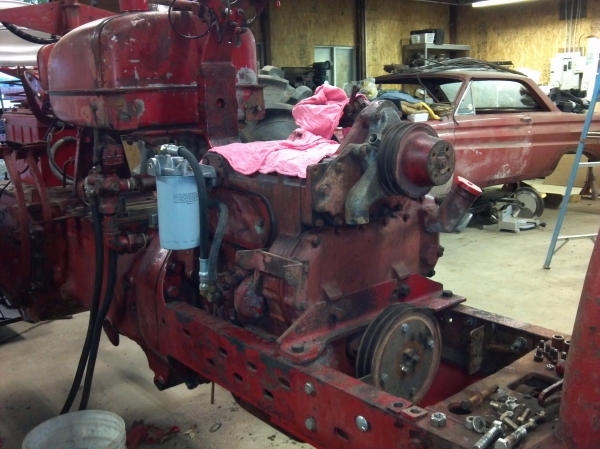 With any luck this old girl will participate in the 2012 Mackinac Bridge tractor ride in September.